This is a scalable context timeline. 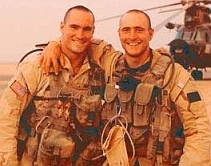 It contains events related to the event May 31, 2002: Senator Calls Tillman a ‘Recruiting Tool’ for Military. You can narrow or broaden the context of this timeline by adjusting the zoom level. 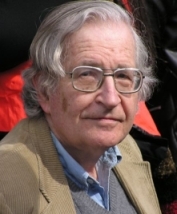 The lower the scale, the more relevant the items on average will be, while the higher the scale, the less relevant the items, on average, will be. 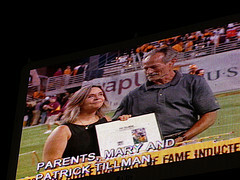 Mary and Pat Tillman Sr. in 2002 at a halftime ceremony held during an Arizona Cardinals game in honor of their son. 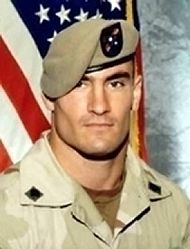 [Source: Associated Press]Mary Tillman, mother of Ranger Pat Tillman (see May 23-June 1, 2002), a former NFL star killed under disputed circumstances in Afghanistan in 2002 (see April 23, 2004), sends a one-sentence email to the Associated Press: “It is imperative that General [Stanley] McChrystal be scrutinized carefully during the Senate hearings.” McChrystal, once a ‘black ops’ Special Forces chief, is to head up the war in Afghanistan, replacing fired General David McKiernan. 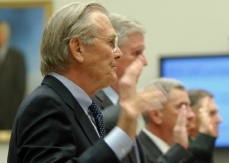 Pentagon Wanted McCrystal Punished, but Senate Voted to Promote - When these facts regarding McCrystal’s role in the Pentagon’s suppression of the truth about the circumstances of Tillman’s death became known in 2007, the Pentagon wanted him to be sanctioned. 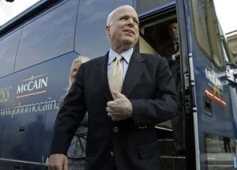 However, in 2008, the Senate overwhelmingly voted for his promotion from a two-star to a three-star general.